Not sure what grain head weight will have your GrizzlyStiks flying like darts? This the easiest, most economical way to figure it out. 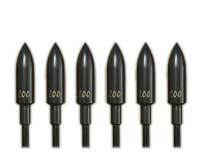 Field points are 11/32" and taper back to 9/32". 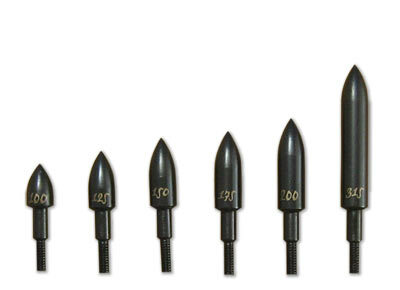 1 each - 100, 125, 150, 175, 200, and 315 grain field points. GrizzlyStik field point test pack come 6 to a pack. Note: For a good fit on all brands of arrows, the diameter of GrizzlyStik field points tapers from the main body of 11/32" to 9/32" where the point meets your arrow.